As congressional Republicans prepare to repeal and replace Obamacare, worried governors from across the country are scheduled to meet Monday with President Donald Trump to discuss healthcare reform and other issues. The state leaders were slated to first meet with Trump's cabinet secretaries on Sunday, then with Trump himself, as part of the National Governors Association winter meeting in Washington. They also were scheduled for separate closed-door sessions with congressional Republicans and Democrats. Governors of both parties have expressed strong concern about GOP plans to erase the Affordable Care Act before establishing replacement coverage for millions of Americans. They particularly warn against ending the law's Medicaid expansion and turning Medicaid into a program of capped federal payments to the states. In a Jan. 24 letter to Congress, the NGA urged lawmakers considering changes to Medicaid financing not to shift costs to the states and to protect states against unforeseen cost increases due to factors such as enrollment spikes during economic downturns, epidemics and expensive new treatments. Most governors realize that the GOP's Medicaid restructuring plan, recently outlined by House Republican leaders, would mean significantly less federal funding over time, even though states would get more flexibility in how to spend those dollars. It “will result in the single largest transfer of risk ever from the federal government to the states,” Arizona Republican Gov. 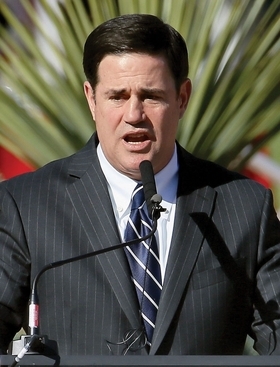 Doug Ducey recently wrote to House leaders.